The book is available! Color Me With Hugs! 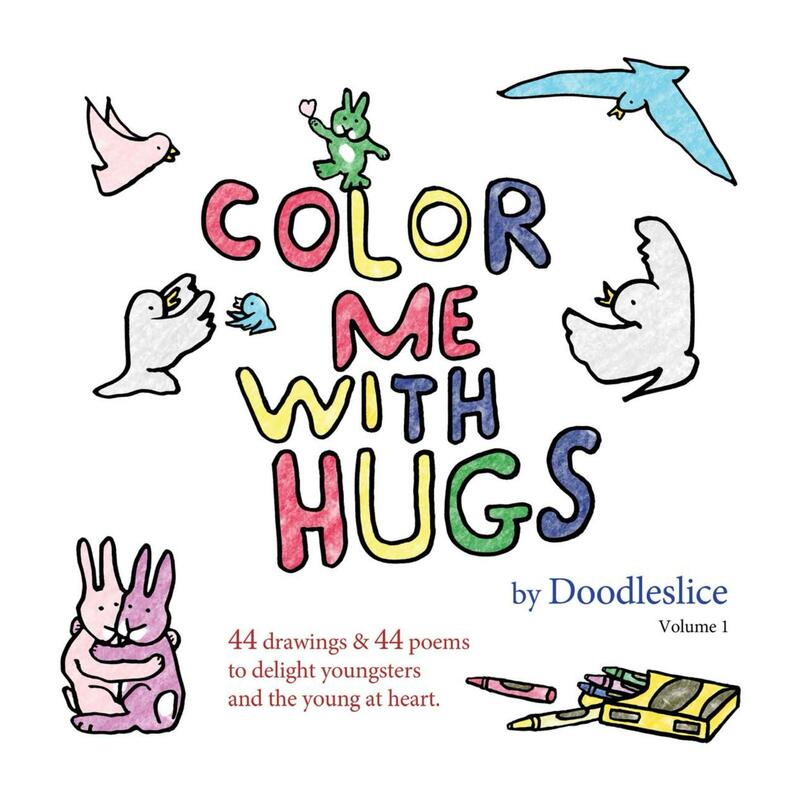 Color Me With Hugs is my first book! It took me two years to put together this whimsical collection of 44 poems paired with 44 drawings. The words and images are playful, and evocative of childhood, but this coloring + poetry book is intended to delight adults and children alike. The book is brimming with animals, people, picnics, unicorns, turtles, love, umbrellas, giraffes, elephants, flying saucers, rabbits, and astronauts — in fact some of the rabbits are astronauts! It is a book of light and lyrical poems. Some evoke a sense of wonder, some tell a story, others simply indulge in the pleasures of magical nonsense. It is my hope that grown ups and kids can both find something to cherish in these pages filled with joy and love. The book is available now on Amazon and select locations around Atlanta.